…in Mrs. Fischer, a stubborn senior whos e will to live is a force to be reckoned with. Equal parts hilarious and touching, this award-winning physical comedy is the story of a tenacious granny who comes face to face with the Grim Reaper himself and must put up the fight of her life to escape his definitive grip. 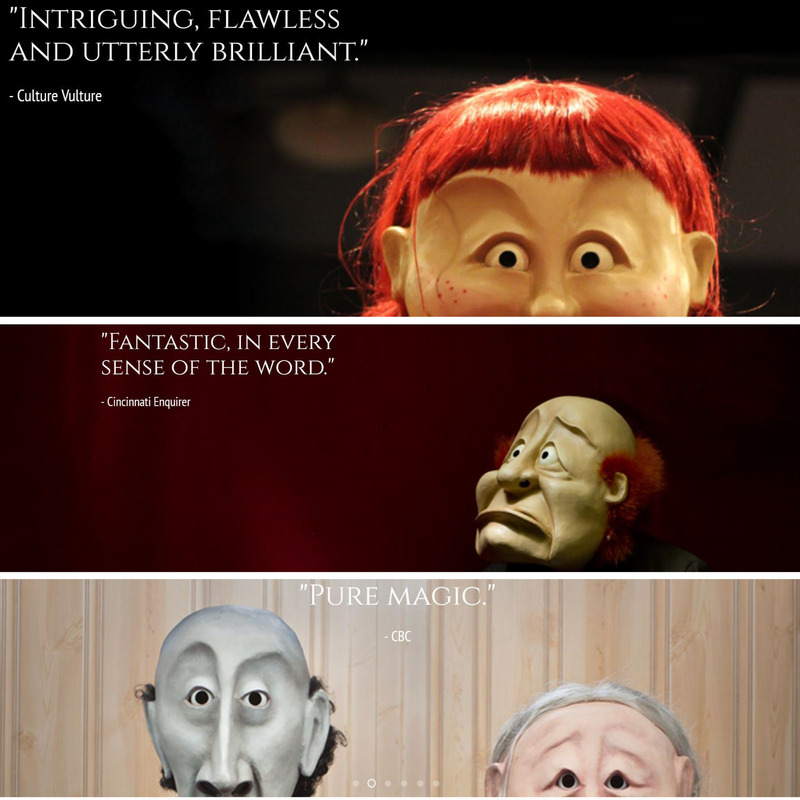 WONDERHEADS is a multi-award winning physical theatre company specializing in mask performance and exquisite visual storytelling for adults and children. 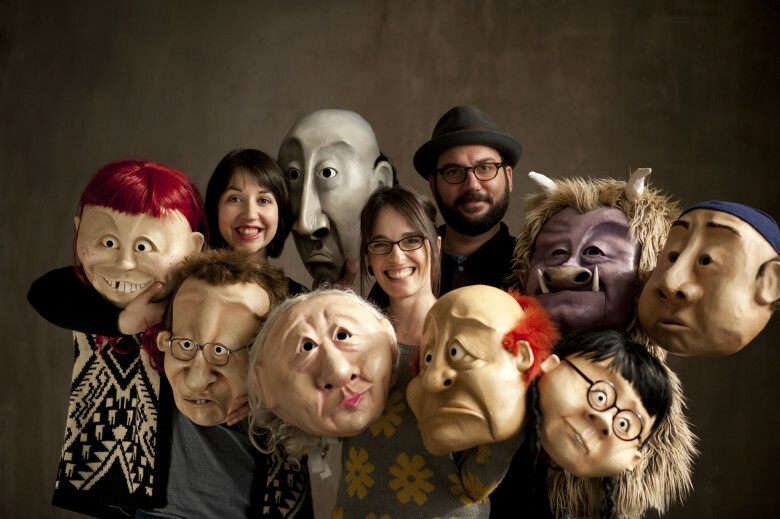 Their work is performed in full-face mask, a wordless form that mixes European larval mask traditions with character mask styles, resulting in a craft rarely seen on North American stages. Audiences have described the experience as watching a living cartoon – the whimsy and imagination of Pixar or Warner Bros in theatrical form. 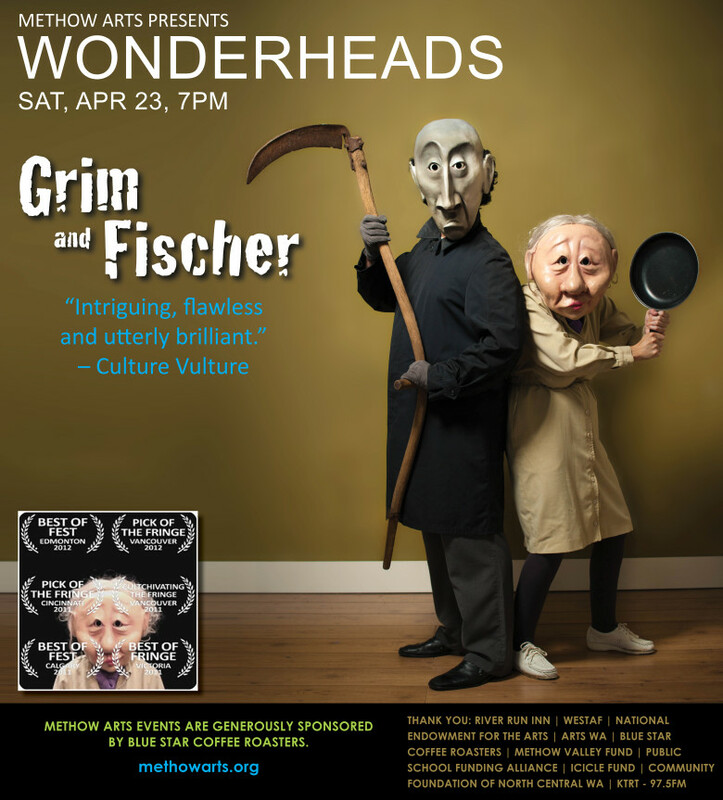 In this distinct style of storytelling, along with with rich soundscapes, fantastical puppetry, timeless slapstick and deft physical performance, WONDERHEADS makes it their business to step beyond words and ignite the hearts and imaginations of our every audience member.